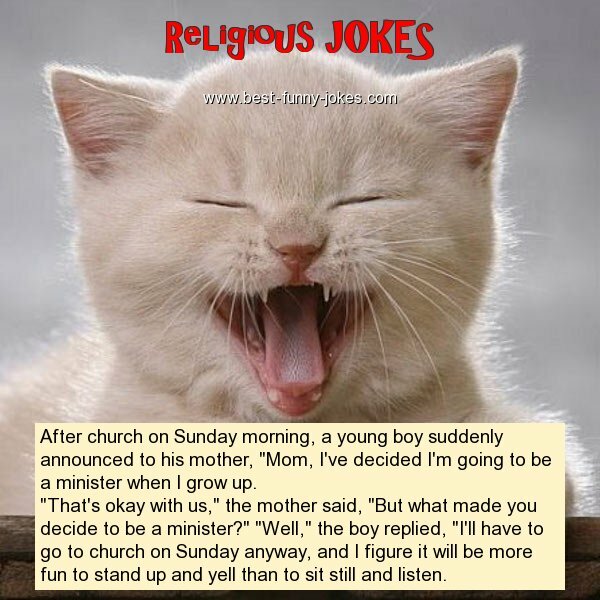 After church on Sunday morning, a young boy suddenly announced to his mother, "Mom, I've decided I'm going to be a minister when I grow up. "That's okay with us," the mother said, "But what made you decide to be a minister?" "Well," the boy replied, "I'll have to go to church on Sunday anyway, and I figure it will be more fun to stand up and yell than to sit still and listen.